August is still peak vacation season, and it could definitely be felt in the company thanks to our Travel Meetings, vacation-themed photo competition, and actively spent free time. However, we also worked on creating a video about our company that you should definitely check out! Read on to find out more! We are happy to present a short video clip about Skyrise, what we do, and how we do it. As you can learn from the video, Skyrise is a software house located in the South of Poland in Katowice with offices in Gdańsk and Bergen, Norway. 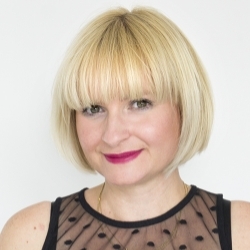 We are a company with a flat structure that values mutual trust, teamwork and acceptance. As a team, we love working in Skyrise, helping to connect humans and technology in a realistic way, and we hope that is reflected in our video as well! The clip was prepared for the DLD Tel Aviv Innovation Festival, which our CEO Jarek participated in at the beginning of September. Check the video out below and feel free to let us know what you think! As we mentioned in our July News, we love participating in our weekly Travel Meetings, which provide us with the opportunity to go on a virtual adventure with our coworkers without leaving the office. This month we heard about Paweł’s snowy sight-seeing adventures in Russia and Kuba’s sunny vacation under Israel’s palm trees. We look forward to continuing these meetings, even with the vacation season coming to an end. 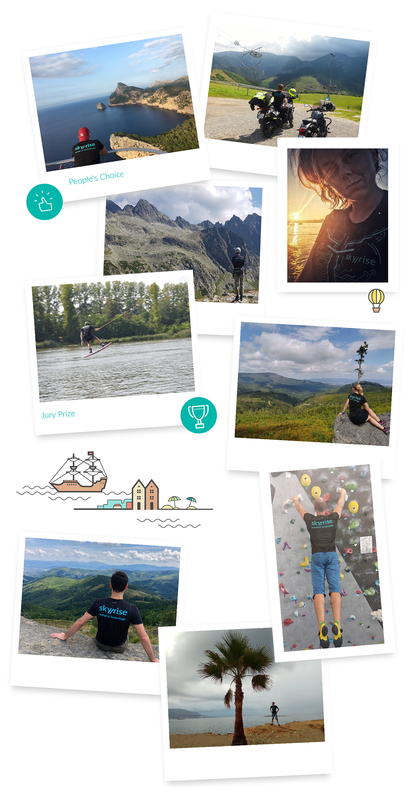 During the vacation we organized a photo contest for our employees involving our Human&Technology t-shirts. Anyone who wished to participate had until August 30th to take a picture in the t-shirt on vacation, and submit it for the voting contest. They then had until 6:00 p.m. on September 13th to collect as many ‘likes’ as possible under their photo in a Skyrise Facebook post. The contest was a hit and we got a bunch of entries with some pretty amazing views! You may be aware that we enjoy sports at Skyrise, and support spending free time actively. We apparently also enjoy competing with each other, as aside from the photo contest, we started an internal competition based on cycling. The bike-riding participants were required to register their two-wheeled excursions in Endomondo, and a winner was chosen based on the highest number of kilometers cycled. Our coworker Piotr ran 150 km this month and won a Skyrise Endomondo competition. Obviously, our team was extremely proud of him and decided that he deserved an award. 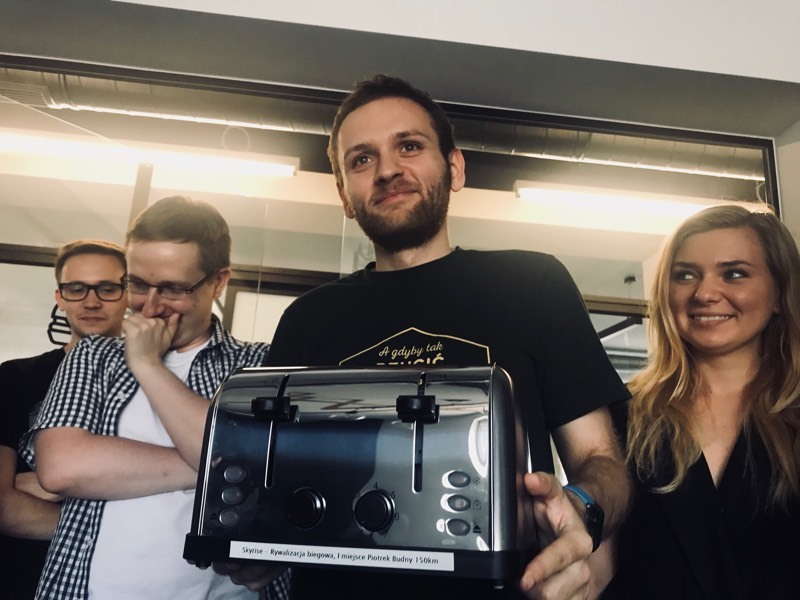 We came up with the perfect (and practical) token of appreciation – a toaster! Of course, all in good humor.